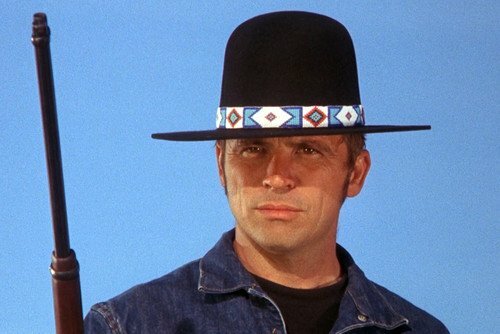 Tom Laughlin (creator and star of the Billy Jack franchise), a number of years ago did an exhaustive study on the impact of various stars on the financial success of a film, and his findings were that there was no correlation between the two. He released the details in a book he wrote called ‘9 Indispensable Writing Ingredients,’ which I was fortunate enough to order from him before he passed away. I don’t think you can get it now through regular outlets, although it probably could be found on the secondary market. Anyway, I went and did my own study of famous actors and actresses to see if his findings remain true today, and when choosing different famous actors, I found the same thing: there was a wide disparity between revenue and earnings generated from their various films. The point of the study and purpose of the book, which was a reference primarily to successful screenwriting, was that there were observable characteristics of films, TV shows, books, or other content, that were the secret behind the financial success of stories; meaning why they attracted a lot of people to watch them. About the only thing I would add today is a big star may attract a larger audience on opening weekend, but the film will still have to be compelling in order to keep people coming. The first Star Wars film (3rd in the series) had an obscure cast outside of possibly Sir Alec Guinness, and history tells us how that performed. There are many others that reinforce Laughlin’s thesis and research findings. Interestingly, Laughlin reportedly had an IQ over 170, was a self-trained Jungian scholar, and trained in Hapkido. The IQ stat came from the above-mentioned book. All that said, his most noted contribution to the world was the introduction of the Four Wall Distribution system, which he used in his Billy Jack films. This is when a film is released and marketed at once. This wasn’t how it was done before he introduced the concept in the 1970s. Before that there would be a release in limited theaters, and if it did well in those places, the film would be shown in more theaters, eventually being rolled out nationwide if it caught on. I said all this to show Laughlin knew what he was talking about, and according to Infogalactic, through 2007 his Billy Jack film remained the top independent grossing movie, after being adjusted for inflation, in film history. It cost $360,000 to make the film, which grossed almost $100 million in early to mid-1970s dollars. It appears from Laughlin’s research and what the Chinese authorities are doing, that they see the risk in an industry propping up film stars in order to manipulate people as they do in America and other nations of the West. I don’t agree with the intervention by the Chinese government in the industry, but I do agree they’ve identified a problem that exists in the mainstream entertainment industry, with people worshipping celebrities to the point of believing whatever they say. This gives celebrities a disproportionate influence on people; an influence that has been proven to be not good for any nation. We all know what the worldview is of the majority of celebrities. What I mean by that is it makes no sense in many cases to pay out the Hollywood stars the enormous money they do without having a different reason behind it. That reason is cultural manipulation and influence. When Lionsgate acquired Summit and started to abandon its original business model, which was the opposite of paying out huge salaries and significant royalties to A-listers, I wrote at the time it could break the company. When I recently checked out its latest earnings report, it was confirmed that moving into the mainstream Hollywood model has resulted in probably permanent damage to its performance. In the past Lionsgate had very low production costs and made money on almost every film they produced. They achieved that by targeting a specific niche that had enough people to make money on, but not so many that larger producers would start to compete with them. One of the biggest secrets in Hollywood is the details of the contracts of its so-called A-list stars. Again, I think the reason behind it is to create and prop up celebrities in order to use them to influence the general population with their cultural evil and lifestyles. 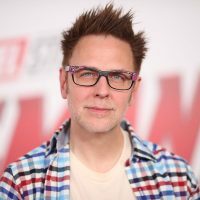 Based upon normal business practices, the deals make no sense, and as statistics confirm, major celebrities aren’t the reason behind the majority of blockbuster films. As data prove, the fame of a specific celebrity doesn’t in any way guarantee a box office hit. 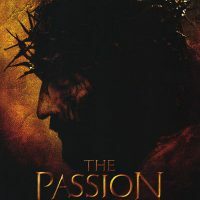 That suggests that the poor business practices of Hollywood come from the obvious fact they are in it more than to make money, but to devastate traditional cultures around the world, with its major target the Christian West.